My point of view on disorder is eclectic. I am not a professional, but I am an academic (I teach writing), trained in evaluation of claims and evidence. After more than a decade of reading about my different diagnoses and trying different strategies, I think that a person’s state of mind results from biology (genetics/physiology/“wiring”), conditioning (past experiences, relationships, internalized ideas), and context (current relationships, environment, and habits of thought). So when it comes to the question of drugs, I’ve had some success. I took Wellbutrin for many years which kept me out of the deeper pits of depression and I currently take Concerta, which helps manage my symptoms. But I took them cautiously with close supervision and consultation with doctors, psychiatrists, and psychologists. My view is that they are one tool in a comprehensive strategy to deal with my overall funk. I’ve found no magic bullet, and every day is a step in the process, and medication is one part of that. And I am wary of putting my own children on these same kind of drugs. The category of “drugs” is not a neat division either. I get therapeutic benefits from supplements, but for various reasons, they are not given much credence in the medial community. The result is a lot of wild claims from vitamin hucksters, and stigma in the medical community. In fact, when it comes to my own doctor, he is not very knowledgable about ADHD drugs and took the “let’s see if this works” approach. Although I had the same experience with my psychiatrist when I took anti depressants. He took my tendency toward hyperfocus as a possible indicator of bipolar disorder. His approach: “we’ll try Wellbutrin and if you turn manic and go running through the streets saying that you’re Jesus, we’ll know you’re bipolar.” I put caffeine in the same category as my Concerta: a stimulant that helps me focus. Here’s an article on caffeine from PubMed, for example: “The most widely used psychoactive substance in the world affects same parts of the brain as cocaine” http://www.ncbi.nlm.nih.gov/pubmed/9889511. There’s not an entirely clear answer why methylphenidate, the drug in Ritalin and Concerta, is a controlled substance and why caffeine is not, other than force of history. Furthermore, when it comes the question of kids and drugs, the situation grows even more complex. My background in critical pedagogy tells me that sometimes schools are more interested in maintaing control, order, and standards, and less in the individual experiences of children. Government bureaucracy also comes into play. My overall experience with my own children (my 11-year old is clearly autistic, my 6 year old has some mix of autism and ADHD symptoms) in the schools has been very positive. We’ve worked closely with a team of educators and professionals, we’ve had long-term relationships with capable educators and professionals, but we’ve also had bumps in the road; a highly incompetent special ed teacher, who happened to be the wife of the superintendent, created a preschool classroom with such rigid structure that I suspect most preschoolers—not just the special ed students she had—would have foundered. Imagine art time being that all kids had to draw the same picture at the same time in the same order; that’s what we observed first hand. We’ve experienced the pressure to establish a diagnosis in order to meet government guidelines for eligibility of accommodations. We’ve experienced pressure to medicate. As I’ve said, we’ve been fortunate with competent, caring professionals across the board. The “pressure” was light, and we’ve been able to cooperatively address our kids’ challenges. But it is not difficult to imagine things going much, much worse. In a large school system, or a system experiencing drastic budget changes, I can imagine a revolving door of professionals. I can imagine what damage even a few incompetent people can do. 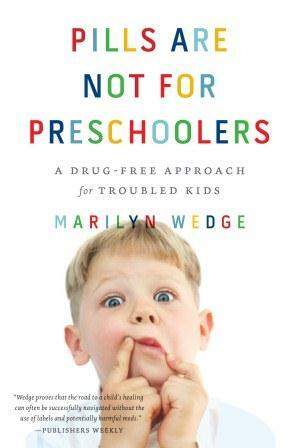 Marilyn Wedge’s book, Pills are not for Preschoolers addresses this milieu. The problem with much “anti-” literature is that the topic argued against becomes what rhetorician Kenneth Burke described as an “ultimate” term. Borrowing from Christianity, Burke described the use of “god” and “devil” terms. A “god” term becomes a stand-in for all that is good, and a “devil” term, all that is evil. This is an oft-used method for books written by politicians and pundits; think of how often “socialism” is used in the public discourse as a devil term, and how often it is used in a historically wrong way. Regardless of one’s point of view on capitalism for example, increasing taxes rich people is not “socialism”; nationalizing their businesses would be. The problem is that these ultimate terms become unhooked from concrete definition and rationality. Ultimate terms are heavy on connotation, but light on denotation. The god terms in much of the anti- genre usually turn out to be something that benefits the writer directly, even if it is just book sales. What she’s arguing against is the disturbing trend of teachers making diagnoses resulting in children taking psychiatric drugs. The difficulty with ADHD is that there is no simple diagnostic test to definitively make the diagnosis. The symptoms of childhood ADHD are also the symptoms of being a child, and disorder is a matter of degree. That is not to say that ADHD does not exist; there is brain research to show that ADHD brains function differently. Instead, the point is that the symptoms are so broad that it is easy to diagnose any resistant kid with it. If a school is particularly rigid and controlling, then there will be a lot of resistant kids. The same is true for Oppositional Defiant Disorder; another psychologist told me she didn’t believe ODD exists, and that it was just a matter of the right context; however, I have a friend with a child who would change her mind! I am sometimes put off by her putting the words autism and ADHD in quotes as if to say they doesn’t exist, but I think she intends to create distance between the conventional (over)diagnosis and the people involved in her stories. In her work with families, she tries to see the whole picture, which is refreshing; few people directly involved in children’s health and well being do so. The medical community (which includes psychiatry) tends toward a treat-the-symptoms approach, which bleeds over into schools in the case of children. Her approach is from the therapist/psychologist perspective, so that informs her choice of levers to pull (the relationships/context sort). Still, she is careful to maintain perspective, which is refreshing in a book whose cover and selling points lean more toward “anti-“ literature. 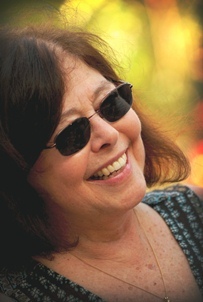 Her view can be summarized by the statement above on narrative therapy; be careful accepting god and devil terms about children’s lives, especially when those terms lead down the path of medication. Forgive me, it has been a while since my last post. Funny thing about getting treatment for AD(H)D. I actually have been doing the work I am supposed to do, the work that actually pays the bills (and actually paying the bills). And that work does not include blogging. In my last post, I wrote about my first experiences taking Ritalin. I had not yet had any time at work under the influence. I started taking it on the day before Thanksgiving, and over the holiday weekend had gotten a lot done. The most important task was getting caught up on all the bills and bookkeeping. It took awhile, but far less time than it would have without help. Decisions seemed much easier. The future seemed possible. The doctor had prescribed me two pills a day, but the effects last about two and a half hours. He had told me that the next level of dosage was one in the morning and two four hours later. I tried taking two, but slipped over that line from productivity to mania. I felt unable to sit still. I had just taken two when Laura said she needed to go to the store, so I should stay on the main floor with the kids. She was gone a little over an hour and I had cleaned the kitchen, sanitized the counters, carried the laundry downstairs, made the bed, and cleaned out my upstairs desk. When Laura got home I ran groceries into the house, ran the frozen food down to the deep freezer in the basement, and realized I was totally out of breath. “I gotta slow down,” I said. Laura agreed. Overall, though, the weekend had been very productive for me, without unhealthy work habits. I am capable of enormous amounts of work, but not often. I have often saved up difficult work until I reached crisis mode and then done a “work purge,” a marathon session of work in full stress mode. I had more regular, steady work throughout the weekend. I was eager to see what Monday would be like. I didn’t have any class meetings, student conferences, or committee meetings. I had the whole day available for work. The kids are gone to school by 8:00 a.m., and I arrive home a little after five in the afternoon. My track record with this kind of day is poor. It’s usually the worst working conditions. I’ve got the whole day to work with, so there’s little sense of urgency. I’ve got no meetings, so there’s no structure to the day. It’s the day after a holiday, so there’s the need to transition back to work. And there’s a lot I needed to make progress on, so it would be easy for me to get overwhelmed. My typical amorphous Monday would go like this. I would get the kids off to work, and then sit down with some coffee to watch T.V., just for a little bit. Two hours later, I would force myself to get in the shower and get to work. By the time I got myself together and to the office, it would be time to eat lunch. I would eat, and since you can’t be expected to actually work during lunch I would read political blogs or watch The Daily Show on the computer. I would find something to get hooked on on the internet, and two hours later I would force myself out of my “lunch break.” I would tell myself I needed to at least open my email program, but would be unable to do so. If anything, I would work on something interesting, but totally non-urgent, like some background reading for a class that I am teaching in three months. Meanwhile, much-delayed tasks would continue to be ignored. I would go home at five feeling demoralized about the wasted day, and anxious about the next day because I would have to rush all morning to be prepared to teach. My actual Monday went much better, but it wasn’t exactly a cakewalk. I got the kids off to school and did 45 minutes of yoga. My back hurt from the weekend; running the grill over the weekend and moving furniture for the holiday had left me sore. I wanted to run off to work to get started—a new feeling for sure—but I knew that sitting at my desk all day would make my back worse without some yoga first. So I arrived a little after nine and popped my second Ritalin. I was disappointed to find my old friend resistance waiting for me. One of the consistencies in my life is my inconsistency, how I act against my intentions all the time. I will leave home and walk to work with complete intention to do a certain task as soon as I get to my desk and will often head home at the end of the day with that task undone. I had several things rolling around in my head to do. I had committee work to catch up on, a bunch of miscellaneous assignments to grade. There were piles of papers to deal with, email to go through, and some long-term projects that hadn’t seen any work in awhile. I thought the best place to start, though, would be list making. I’m enamored with the Getting Things Done system by David Allen. I think it makes sense, and I understand how it works. I’ve never been able to keep it up, though. I do fine for awhile and then just start ignoring it. GTD is an entire culture beyond the scope of this post, but it involves lists. A “project” is anything with more then one action, and actions have to be listed separately. Actions are then organized into contexts like “computer” or “phone” call, and next actions are identified. The idea is that planning involves building up project lists, and doing involves scanning for available next actions based on the current context. It’s a beautiful system, but I can’t make it work consistently. I thought with the Ritalin assist, I would be able to get started. But I couldn’t. There are lots of free online planners that are compatible with GTD (I currently use NirvanaHQ, sort of). I opened mine and immediately felt overwhelmed and stuck. I had not updated it in awhile. It looked uninviting. I felt stuck already. I felt the old bad feelings coming back. Eventually, though, I got started on one specific thing, grading a pile of long-neglected assignments, and two hours later, they were done. I got a lot of other things done too, but not quite everything. I’m still fighting the big picture: what to do about our overall finances, what direction I should pursue for my writing, how will I get this house into shape. I had really busy week this week, with it being the last week before exams. I can go with less sleep on Ritalin, but that’s not a good habit. I still need to do the other therapies to keep the off time more livable. But I am getting used to this new me.